On March 5, 1946, Winston Churchill stepped up to the podium at a tiny college in rural Fulton, Missouri. Flanked by US President Harry Truman, the former British prime minister proceeded to point out the cold war brewing between America and Soviet Russia. This speech, titled “The Sinews of Peace,” ended up sounding the alarm on the fracturing relationship between the post-war superpowers. 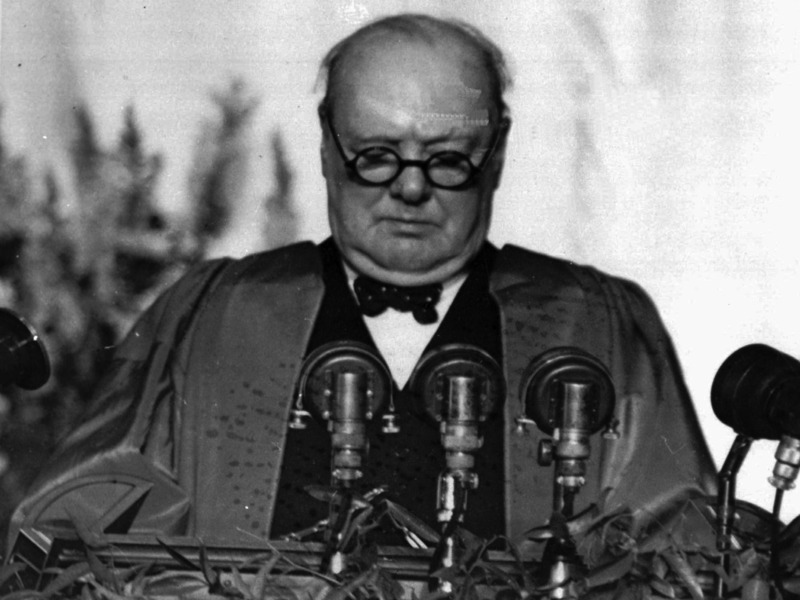 The famous speech first started to come together the previous October, when Churchill received a letter from Westminster College President F.L. McCluer, asking him to come a deliver a talk on international affairs at the school.